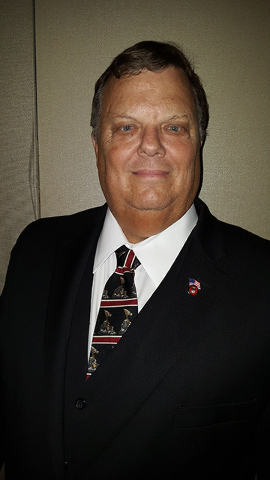 An Amargosa Valley man with his own accounting and tax business there and in Las Vegas is one of three Republicans competing in the June 14 primary for a seat on the Nye County Commission. Mattox joins Earl Jones of Pahrump and incumbent Lorinda Wichman of the Round Mountain region in the contest for the District I commission seat. District I commission precincts are in Beatty, Currant Creek, Duckwater, Gabbs, Ione, Amargosa Valley, Manhattan, Mercury, Round Mountain, Sunnyside, Tonopah, Forty Bar, north west corner of Pahrump and Smoky Valley. Early voting for the primary starts May 28. The position is for four years. Mattox, 61, is making his first run for public office. “The thing that really set me over the top on this was in 2015 when they voted in the largest tax hike in Nevada history with a very conservative Legislature and supposedly a conservative governor,” he said. “That was the final straw. “That is when I decided, ‘You know what? Let’s get involved and do something. We’ve got to make changes here. We cannot let these elected officials keep doing what we don’t want them to do just because they think they know better than us. They need to represent us.’ Also, they need to govern for us instead of governing us, and that is what I want to do,” Mattox added. He described what his style would be as a county commissioner. “I want to be an elected official, the type of elected official who I want in office,” Mattox said. “I want to be the guy who represents the voice of the constituents. It doesn’t matter what my agenda is, it shouldn’t matter. My religion, my agenda, nothing should matter. Mattox described his plan involving the county, its many rural communities and Pahrump with the county’s population center being in the south. He noted the county’s large and rural setting. Mattox, retired from the Marine Corps with 21 years experience, also expressed concern about senior centers, veterans and the quality of roads. “One of the things I want to help is with the vets and the seniors,” he said. Mattox said as he has been out talking to people, roadways are being discussed as an issue. “Our rural roads are not being attended to,” he said. At the same time, he said he realizes that the county’s coffers are not unlimited. Mattox said he has a degree in accounting from the University of North Carolina at Charlotte and a master’s degree in business administration from Chapman University in California. He said that through his career background as a chief financial officer for large companies, he understands budgets.